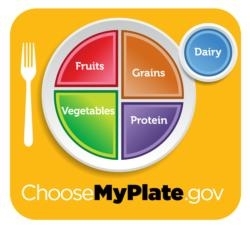 The USDA's colorful MyPlate icon clearly shows many Americans how to formulate healthy meals for their families with the proper proportions of fruits and vegetables, protein foods, grains and dairy products. 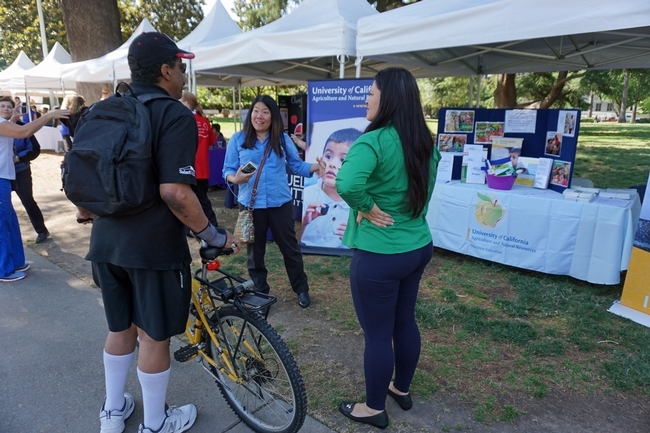 However, UC Cooperative Extension nutrition educators in Central California discovered that the infographic was too abstract for local low-literate families. They embarked on a years-long effort to translate the shapes and colors into a series pictures showing plates filled with healthful, real food. 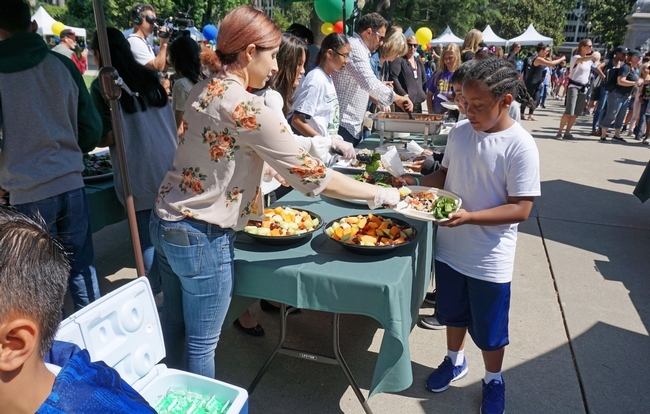 The concept clicked, so county and campus-based researchers joined together to document the effectiveness of a new curriculum shaped around pictures of properly portioned plates of food to share with nutrition educators around the nation and world. 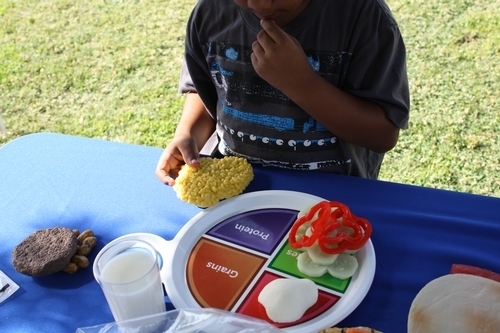 They wrote an article, A Picture is worth a thousand words: Customizing MyPlate for low-literate, low-income families in 4 steps, which was published in the July-August 2015 issue of the Journal of Nutrition Education and Behavior. 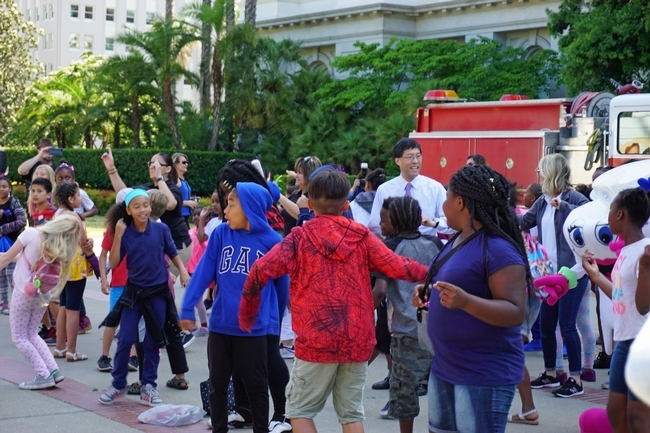 In 2016, the article was named the “paper of the year” in a category of articles and research programs called “great educational material” (GEM). In the paper, the researchers shared a four-step process for creating a set of meal photographs that will resonate with families in different communities. Review food patterns and determine meal combinations – This is done by asking clientele what foods they recently fed their families. 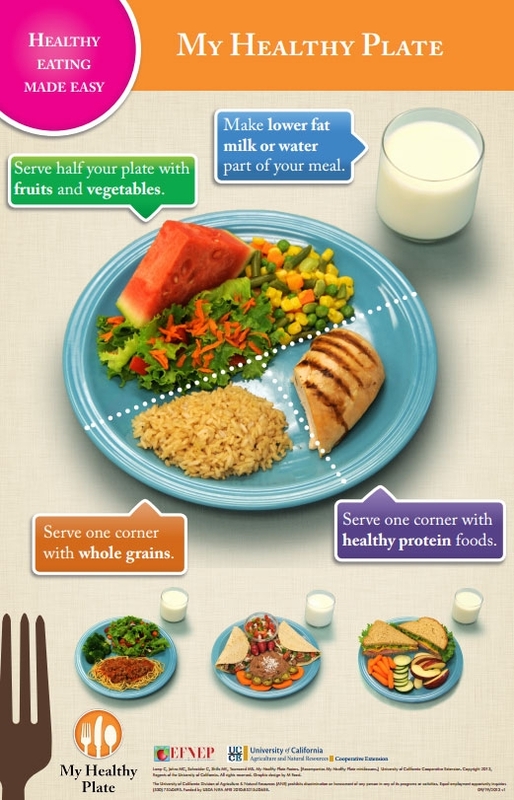 Once the foods are identified, they can be modified to meet MyPlate recommendations. 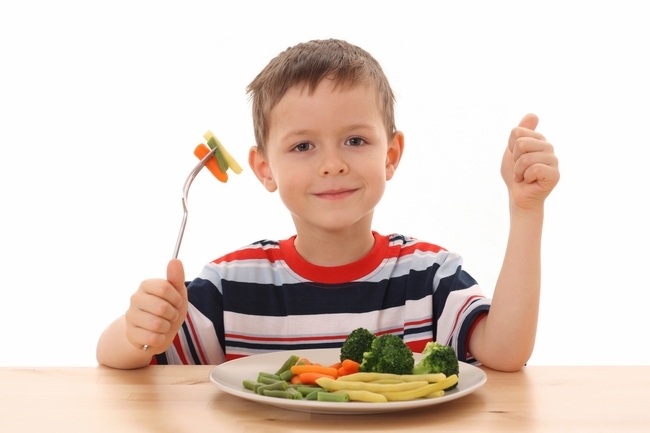 Test meals and take final photographs – Prepare the meals, take photos and test the photos with the target audience. 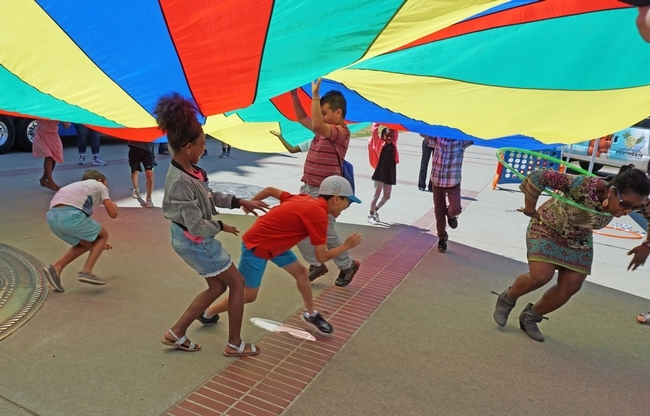 Develop and test education messages to accompany photos – Messages should have few words, use family vocabulary and be written for a low-literacy audience. 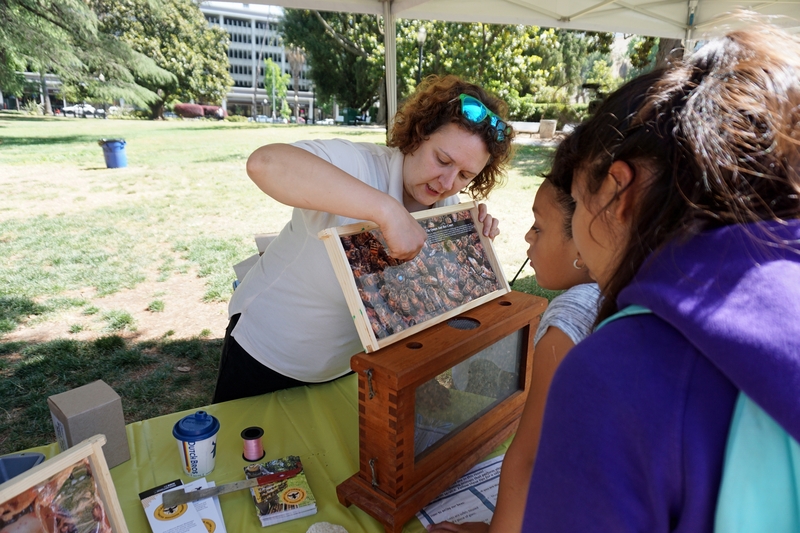 Create and test education materials – After the suggested materials are created, they should be tested with the target audience. 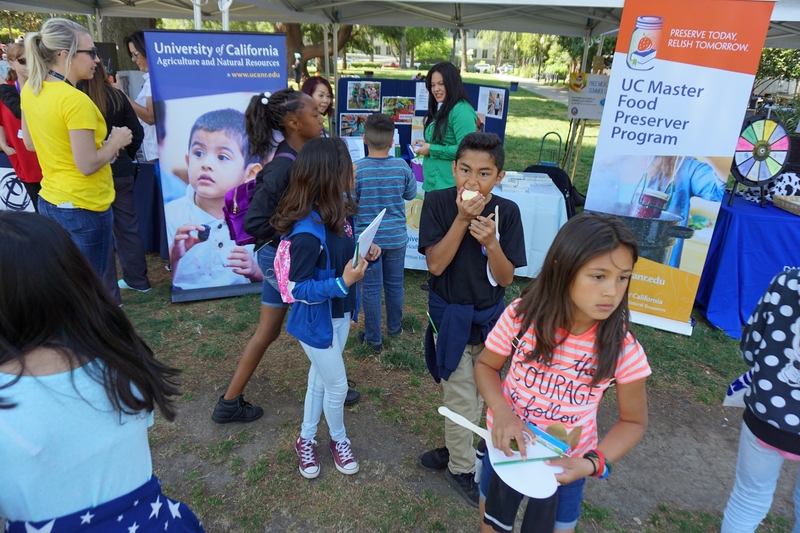 The UC Cooperative Extension Expanded Food and Nutrition Education Program (EFNEP) is using the “My Healthy Plate” materials in reaching out to low-literacy and low-income families in California. 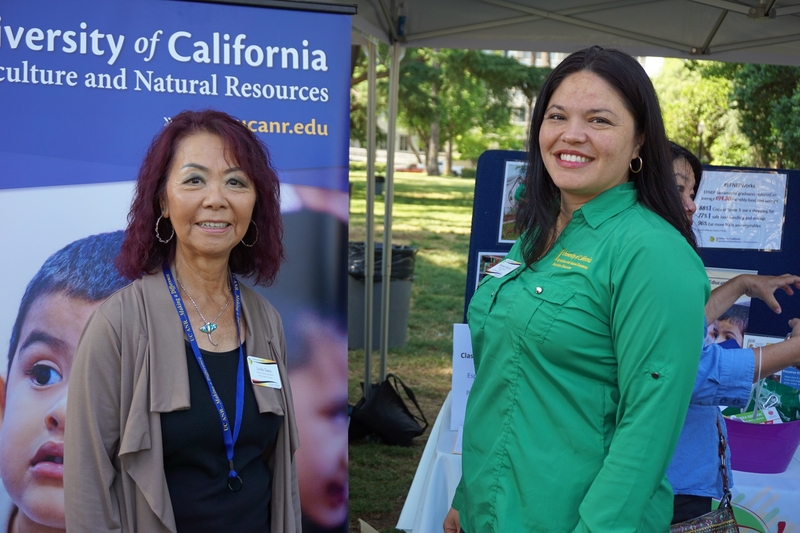 The authors of the Journal of Nutrition Education and Behavior paper of the year are Mical Shilts researcher at UC Davis; Margaret Johns, nutrition, family and consumer science advisor in Kern County; Cathi Lamp, emeritus nutrition, family and consumer sciences advisor in Tulare County; Connie Schneider, emeritus Youth, Families and Communities director for UC Agriculture and Natural Resources; and Marilyn Townsend, UC Cooperative Extension nutrition education specialist in the Department of Nutrition at UC Davis. 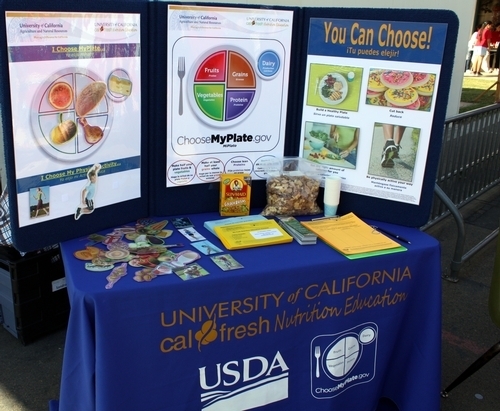 My Healthy Plate education materials are available at http://townsendlab.ucdavis.edu. 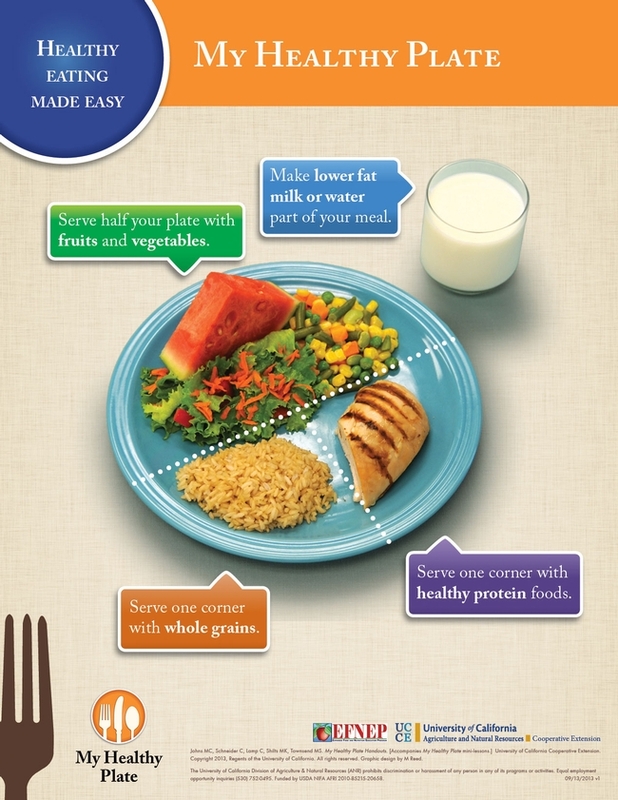 USDA’s MyPlate graphic (left) was too abstract for some audiences, prompting UC ANR nutrition educators to take photos of healthy meals, like the one on the right, for a nutrition curriculum called My Healthy Plate. 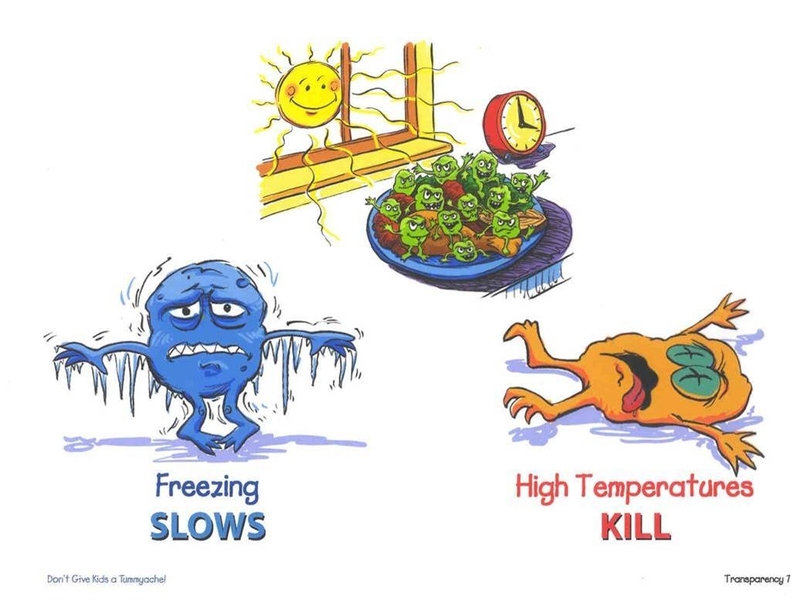 The food-safety danger zone is between 40 degrees F and 140 degrees F.
‘Tis the season for gathering with friends and family and eating. Whether you celebrate Christmas, Hanukkah, Kwanzaa or Festivus for the rest of us, many of us invite people to our homes during the holidays and leave food out to graze. 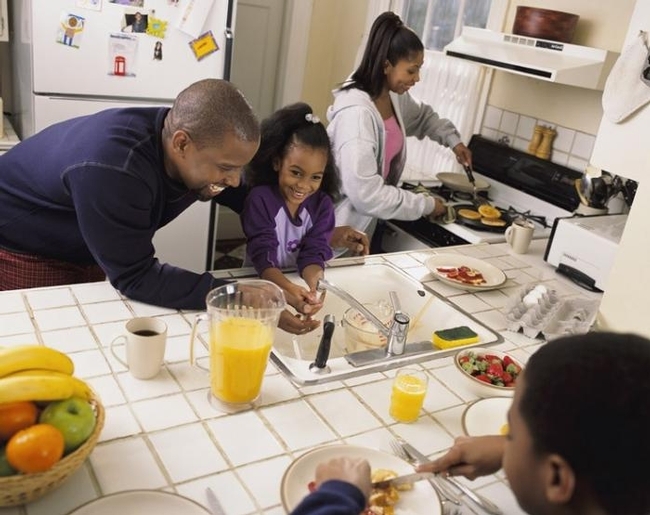 Leaving food out for more than two hours can be hazardous to your health and that of your guests, caution UC Cooperative Extension nutrition experts. You may be thinking, “My family has eaten food that has been sitting on the table longer than two hours and survived.” Consider yourself lucky. While you're watching football, she also recommends not leaving food out the length of a game. Washing your hands can prevent bacteria from spreading to food. Food safety begins with clean hands. “We put an emphasis on hand washing because it can prevent cross-contamination, which helps prevent foodborne illness and can keep us healthy during the flu season,” said Connie Schneider, director of the UC Youth, Families and Communities Statewide Program. She recommends rubbing your hands together with soap and water for 20 seconds to thoroughly clean them. The UC Expanded Food and Nutrition Education Program (EFNEP) teaches hand washing as a food safety practice in its nutrition classes for adults and children. After taking the class in San Diego County, 72 percent of the 340 participating adults improved their safe food-handling practices and 55 percent of 1,231 children improved, said Wooten Swanson, who oversees the nutrition and food safety education program. 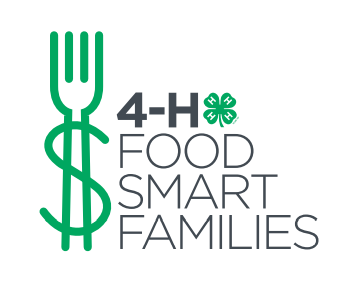 For more food safety resources, visit UC Cooperative Extension's "Food Safety for the Holidays" website http://ucanr.edu/HolidayFoodSafety and Nebraska and Iowa State Cooperative Extension's food safety website at http://www.4daythrowaway.org. 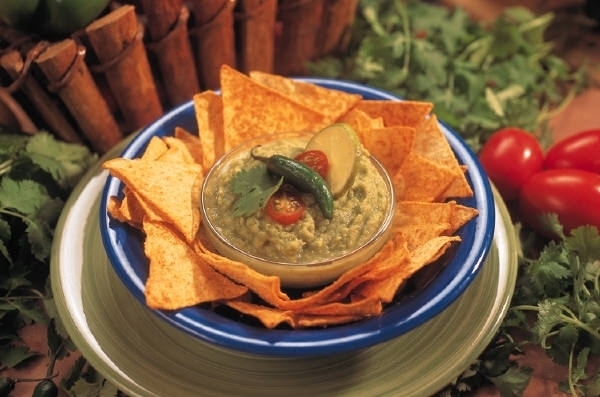 For USDA recommended temperatures for cooking meat, visit http://blogs.usda.gov/2011/05/25/cooking-meat-check-the-new-recommended-temperatures.